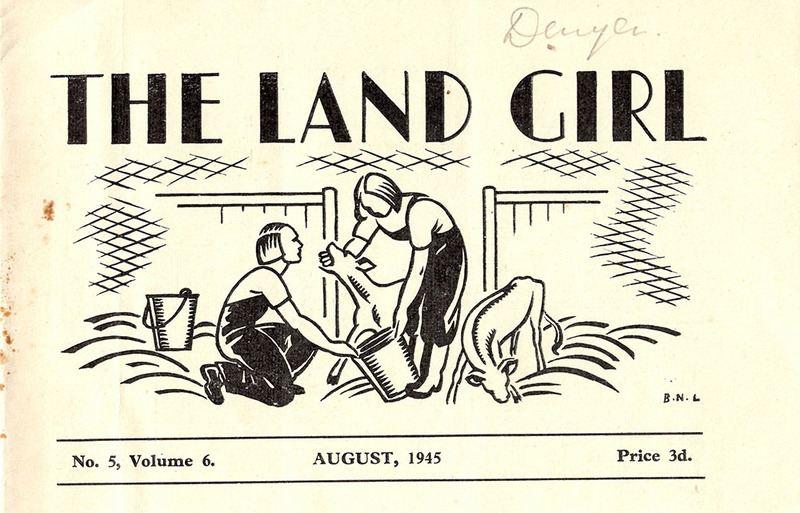 We have an array of interesting images used in The Land Girl to welcome in the month of May. 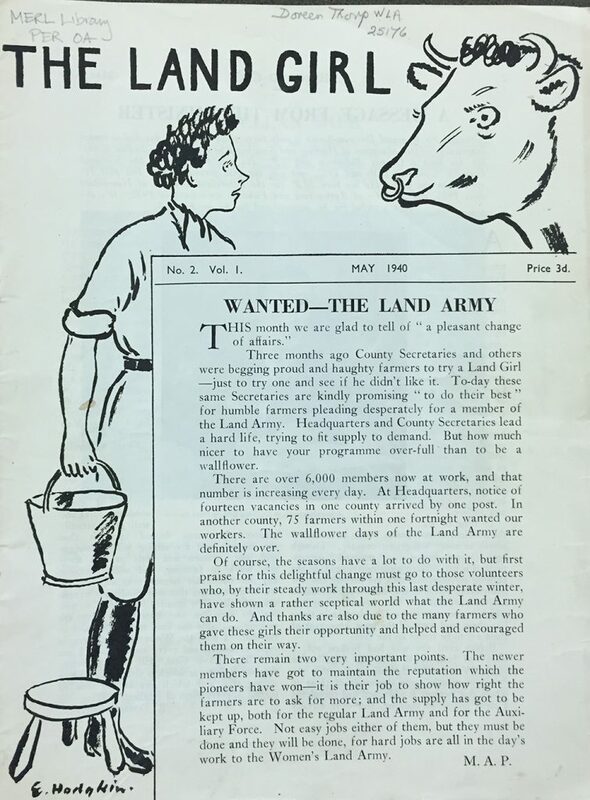 The first drawing by E Hodgkin, from 1940, is a humorous depiction of a Land Girl facing off with a bull. She holds a bucket of milk and looks, quite frankly, terrified at the prospect of milking a cow. Indeed, some women recount how they were not taught how to milk a bull; the farmer just gave them a bucket and told them to get on with it! How frightened would you be, if you’d had no experience before? The second drawing, published in 1943 presents the process of milking in a much more positive way. 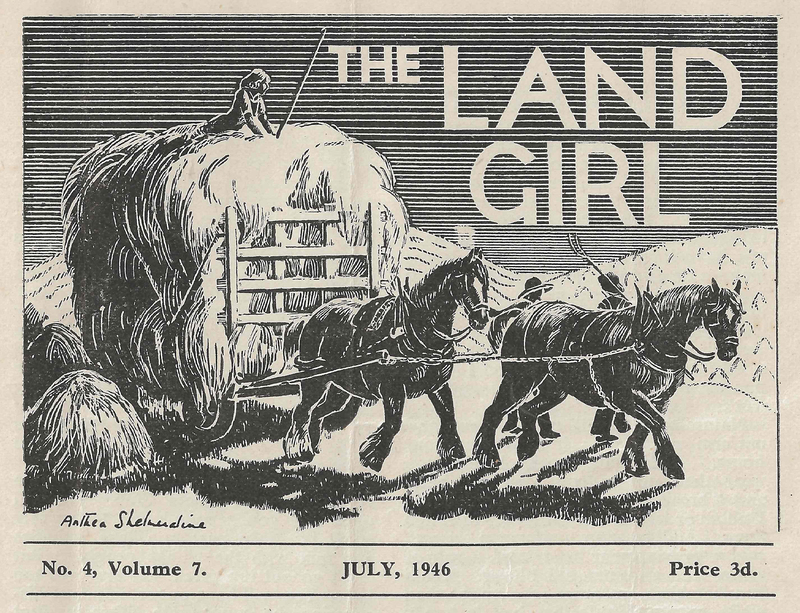 A Land Girl strolls away with bucket in hand, presumably after a good milking session. This drawing gives more focus to the wider farming landscape. 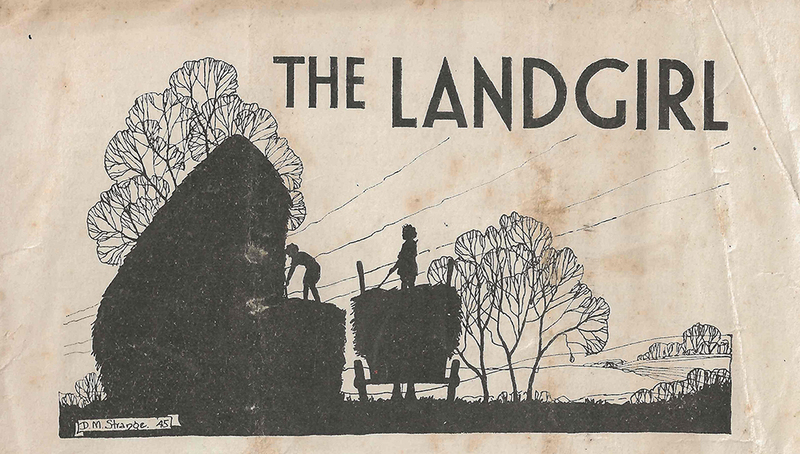 So too does the final drawing for May 1946, which depicts Land Girls creating a haystack. They stand upon a trailer in order to reach the top of the stack – maybe showing that they can quite literally measure up to the job. The artist foregrounds the countryside landscape and presents a somewhat idyllic scene . 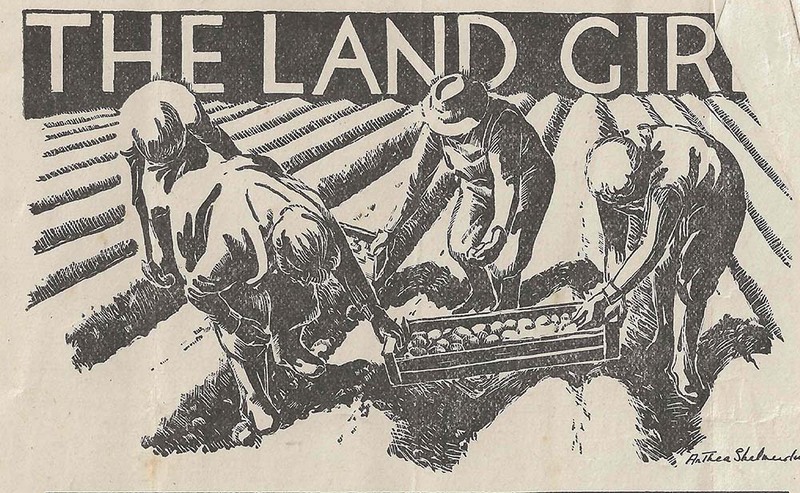 Maybe this drawing reflects the growing confidence that Land Girls experienced after being in the WLA for several years. May 1940 edition drawn by E.Hodgkin. 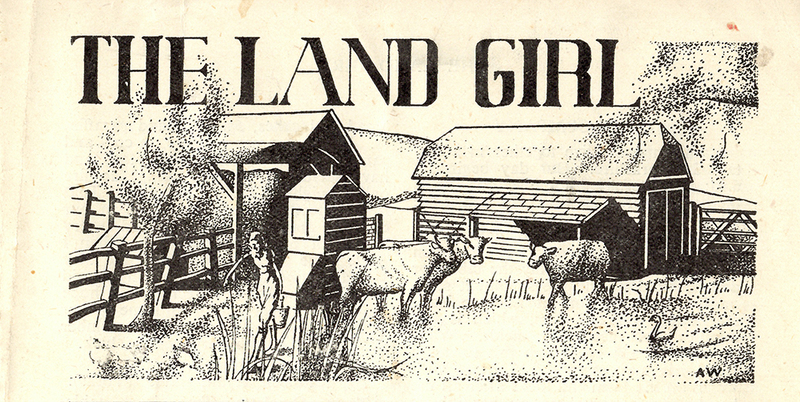 May 1943 edition, drawn by Land Girl, AW [no more information available]. May 1946 edition by D M Strange.